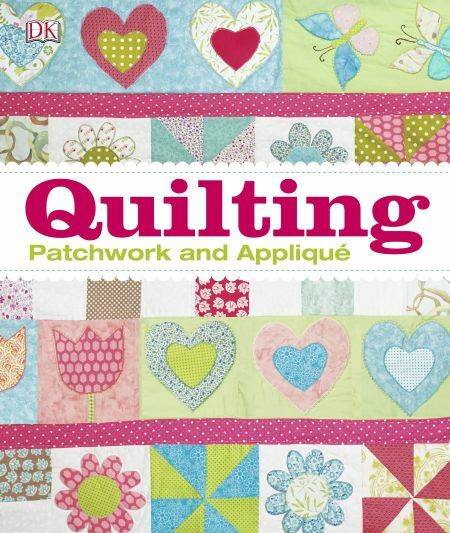 The Quilting Book is your must-have companion for patchwork, appliqué and quilting, from fat quarters to jelly rolls- you'll soon learn how to make a quilt. If you're a complete beginner, The Quilting Book will help you learn how to make a quilt, create perfect patchwork and amazing appliqué. With simple step-by-step techniques and gorgeous pictures you'll soon be able to make beautiful quilting projects. Beginner quilters are led through every step with over 100 quilt block patterns and easy to follow tutorials. If you are already familiar with quilting you can learn new skills to create that perfect gift or cherished family keepsake. 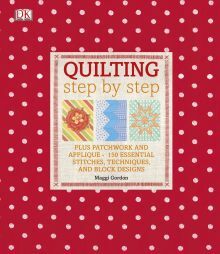 The Quilting Book will show you how to succeed at your new skill in no time. Each technique is shown through simple step-by-step instructions and close-up photography followed by a practice project so you can try out your new skill. Then move on to the more complex projects such as cushions, bags and full-sized quilts. Discover how to make a quilt and work with different fabrics and patterns, learn sashing and border techniques and the perfect finishing touches to make your quilt unique.